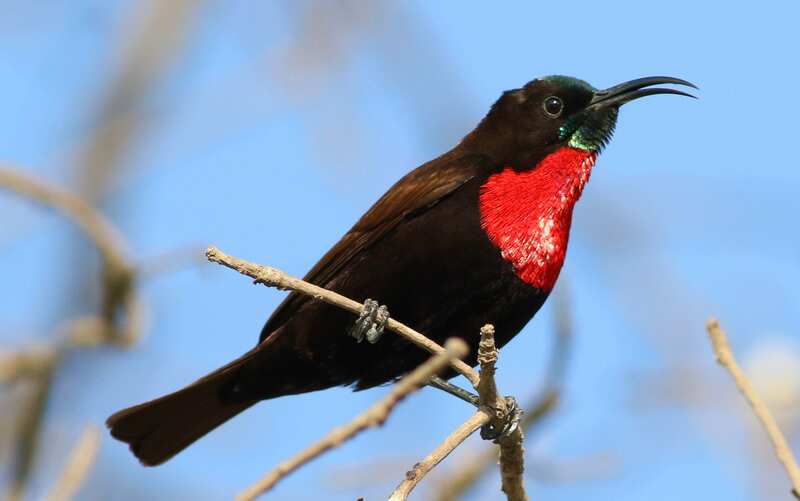 4 Days Bird watching safari Queen Elizabeth park. The 4 days birdwatching safari takes you to Queen Elizabeth national park to go sight the different birds that these parks have to offer. Queen Elizabeth national park is home to over 600 different species of birds with an opportunity to spot 200 different birds species in a day. Day 1: Drive from Kampala to Queen Elizabeth park. Day 2: Game drive and Birdwatching in Kasenyi Area. In the morning before sunrise, you will wake up to a cup of tea or coffee and then with your packed breakfast, go for a game drive and bird search. Watch out for animals and plenty of birds in the area. Later in the afternoon, you will go for a boat ride on the kazinga channel where you will see plenty of animals and also plenty of birds at the shores. Watch out for birds like Pied Kingfisher, Copper Sunbird, Scarlet-chested Sunbird, Widowbirds, Bishops, Grey-backed Fiscal, Black-bellied Bustard, Common Button Quail, Red-chested Sunbird, Temminck’s Courser, Black-winged Stilt, Plain-backed Pipit, African Wattled Lapwing, Spur-winged Lapwing, Martial Eagle, Black-headed Gonolek, pelicans and so much more. Day 3; Bird Watching Maramagambo forest and Katwe Area. Today in the morning drive to transfer to Maramagambo forest to go search for birds . the day starts as early as 6am with packed breakfast. Watch out for birds like the ; Grey-capped Warbler, Yellow-rumped, and Speckled Tinkerbirds, Rufous-naped, Flappet and Red-capped Larks, African Paradise Flycatcher, White-Casqued Hornbill, Grey and Buff-throated Apalis, Western Nicator, Yellow-whiskered, Grassland and Plain-backed Pipits, Grey-throated and Yellow-Spotted Barbets, . Later in the afternoon, you will return for late lunch and then later go for a bird watching safari in Katwe area. Overnight at previous lodge. Day 4: Transfer to Entebbe. In the morning right after breakfast, you will drive to transfer back to Kampala and then proceed to Entebbe. Arrive in the afternoon and then go bird watching in Entebbe area. 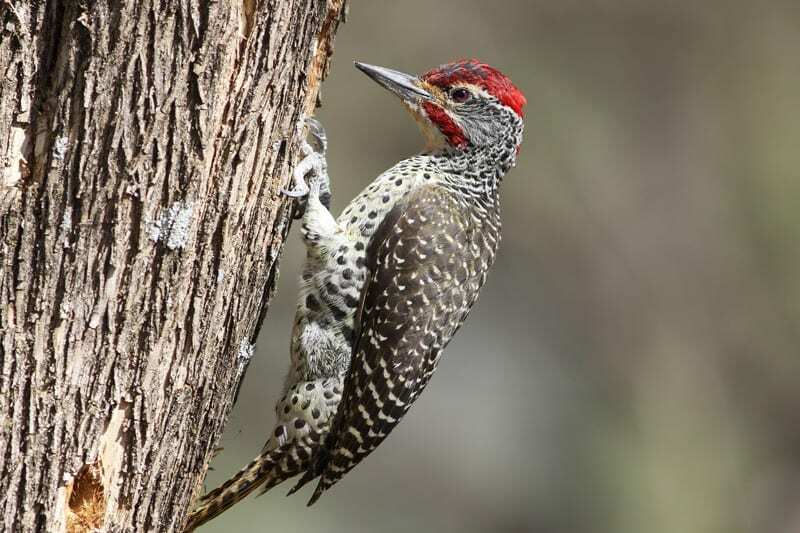 Watch out for birds like the African Grey Hornbill, Spot-flanked Barbet, Nubian Woodpecker, Fork tailed Drongo, Cisiticolas, Brown Parrot, and so much more. End of the 4 day bird watching safari in Queen Elizabeth National park..
For longer safaris try out our 14 days Uganda bird watching safari.